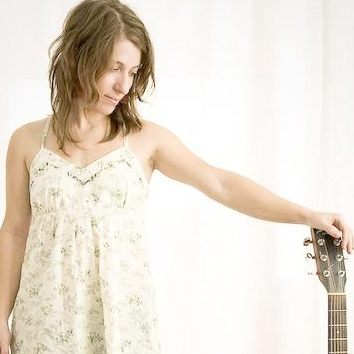 It's no secret to anyone who regularly reads this column, but we really enjoy our Canadian female singer/songwriters. While everyone is still essing Feist's dee and searching for the new Hannah Georgas album, we're looking for music like Gabrielle Papillon's. Her new album Little Bug was released in late September and it's filled with honest, introspective, well-written pop songs we're very certain you'll enjoy. We like her so much we wanted to be sure you knew her too. So, here is Gabrielle Papillon dealing with our crazy. And you can stream the album below. I usually say it’s a cross between folk music and pop music. It’s very wordy and lyric driven but I love a good hook and the combination of a good lyric/phrase and melody are usually the seeds for most of my songs. If you could open for one current band that you haven't played with before, who would it be? Only one? Well then, (aiming high here) Andrew Bird. Laura Marling is a close second. Then Jose Gonzales. ZZ Top maybe? Did they have facial hair? My Dad loves them. I vaguely remember crazy facial hair on album covers. I guess Prince and Freddie Mercury have/had pretty good facial hair. It changes and it depends. If I’ve got a band I love playing my prairie outlaw songs (‘Outlaws and Criminals’ and ‘Moonless Night’) because they are just so much fun. Right now I also really love singing ‘Go Into the Night’ and ‘Concrete of the City’ from the new album (Little Bug). Every once in a while I get asked to do an encore and I really love playing Joni Mitchell’s ‘Case of You’ if the audience is super quiet. Oh man. Maybe Counting Crows August and Everything After. I still love that record. I think I got Nirvana’s Nevermind around the same time or maybe just before. WAIT! No! I vaguely remember getting Bryan Adams’ Waking Up the Neighbours after Robin Hood came out. The man writes a good power pop ballad! That would have been before the Counting Crows Album. I haven’t listened to Bryan Adams in ages. The summer I was 12 I LOVED Joni Mitchell’s Blue album. ‘My Old Man’ was the song that really got me. I listened to it on repeat while building forts made out of milk carton building blocks my mum had made for us. My undying love for Joni Mitchell abides. The ‘60s. Can I say 1965 – 1975? That’s a decade! I am such a hippie. If there were any earthly way I could somehow capture the genius of Amelia Curran or Andrew Bird or Regina Spektor I’d be one of them. The ability to play any instrument like a master. That or the ability to shoot lasers from a kazoo. It’s hard to choose.